You're working at the airport and the day seems to be going well, when suddenly you spot something out of the corner of your eye! It that a... drone? 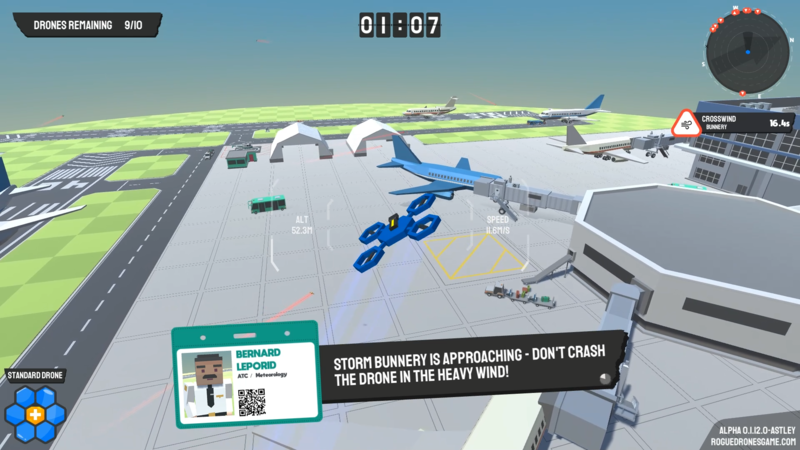 Panic ensues – you don't want your airport shut down, so you come up with a cunning plan. 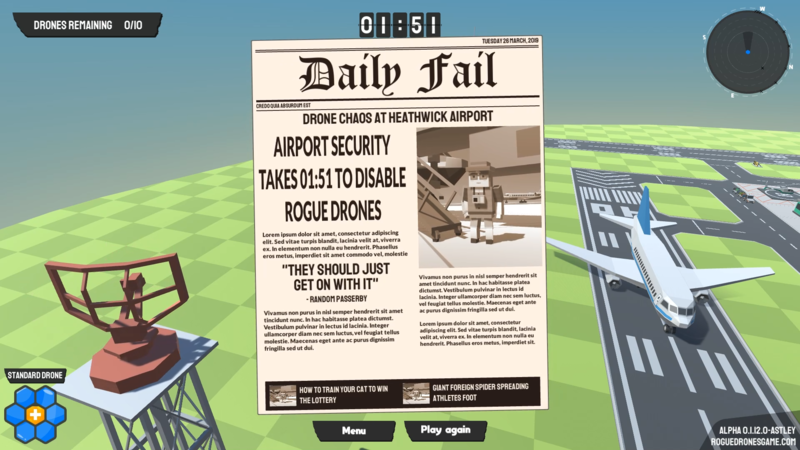 You'll get your own drone out, duct-tape a stun gun to the top of it and take out those rogue drones! 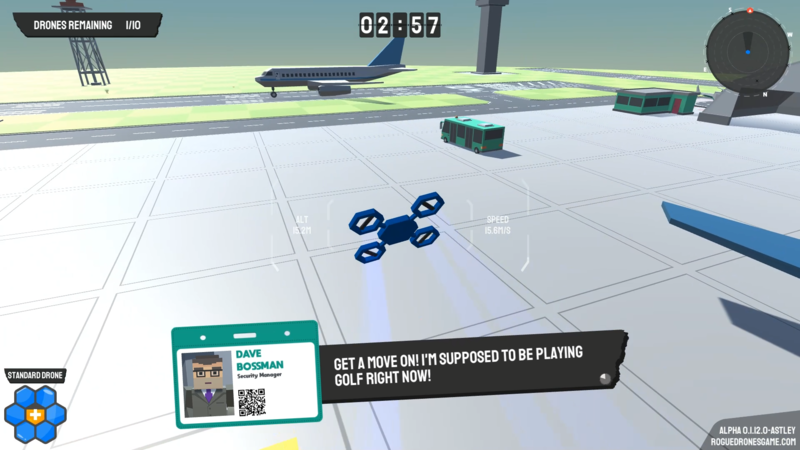 Using your drone controller, you chase down and destroy the rogue drones throughout the airport. 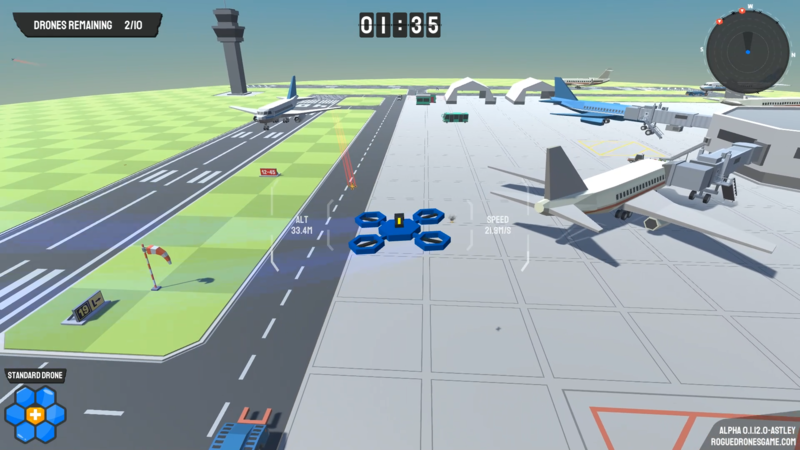 Dodge planes, helicopters, the air traffic control tower and home in on the drones one by one – and destroy them. When you complete that task – you'll make headlines in the local newspaper! 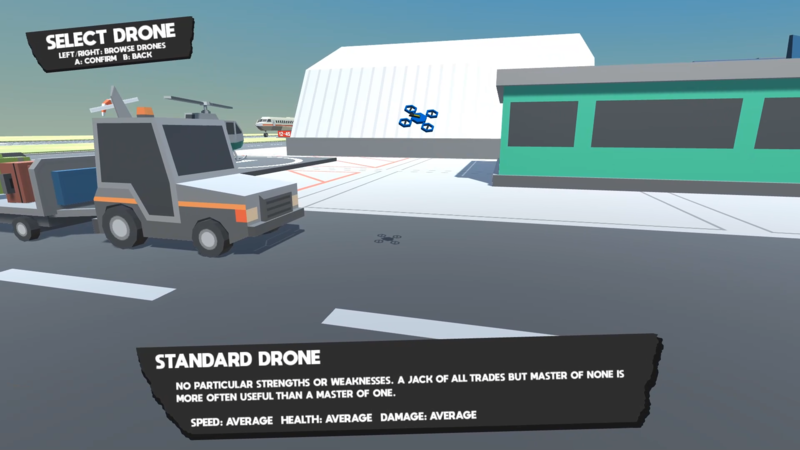 "Rogue Drones in the early stages of development, but already looks have a good sense of humor [...] If the concept alone was enough to give us a chuckle, we hope the full release will offer a good laugh when it arrives this year." "I like the integration with services such as Twitch and Mixer. It's a fun idea and will hopefully be popular with the personalities that like to involve their viewers as much as possible." 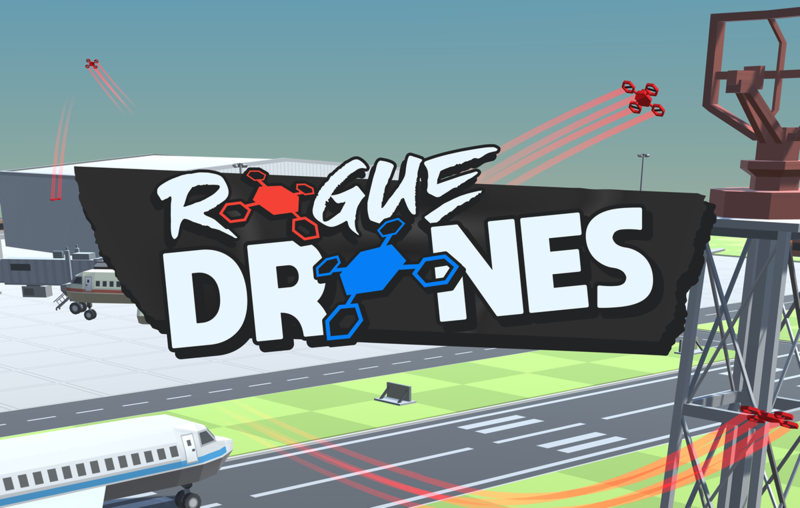 Official Twitter account for Rogue Drones twitter.com/roguedrones. 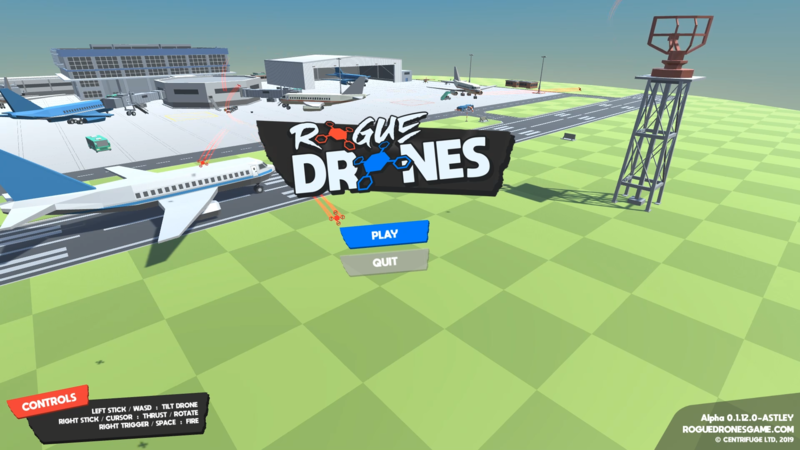 Official Facebook page for Rogue Drones facebook.com/roguedronesgame. Our developer's Mixer channel, where he streams alpha footage of the latest game updates mixer.com/breadmower. 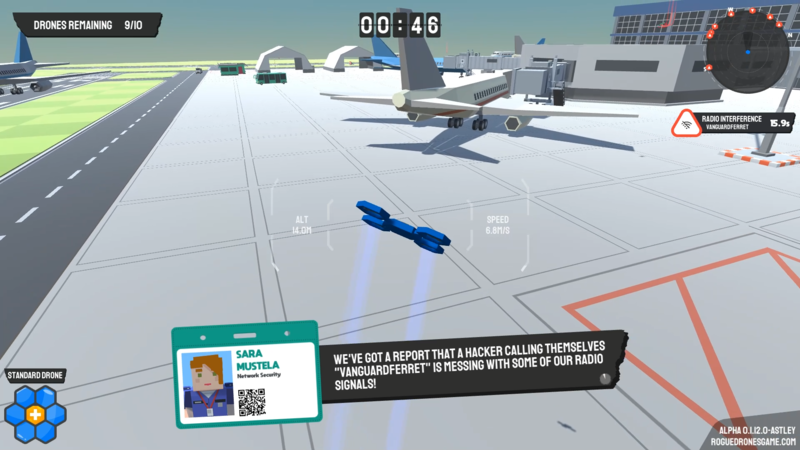 BobDuckNWeave designed our logo and UI live on stream - find his Mixer channel here mixer.com/BobDuckNWeave.